East African Greenheart | Infonet Biovision Home. It is native to many African countries; DRC, Ethiopia, Kenya, Malawi, S. Africa, Swaziland, Tanzania and Uganda. W. ugandensis is common in lowland rainfall, upland dry evergreen forest and its relicts in secondary bushland; and also on termitaria in swamp forest. It is found in Agroclimatic zone III. It is important to note that U. Ugandensis' wood though hard and heavy, rots quickly and does not resist termites. It does well in the altitude range of 100 - 2,200 m above sea level, rainfall requirements are in the range of 1,000 - 1,500 mm annually and they can withstand swamp forest soils. Seedlings, direct sowing at site, wildings and cuttings can be used to propagate it. 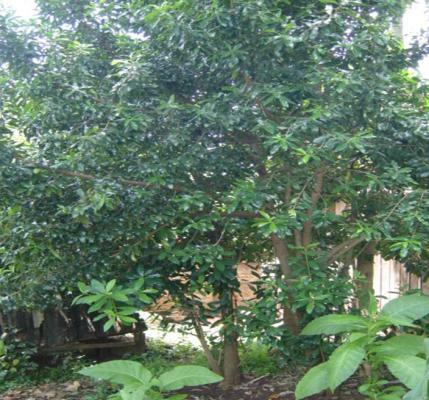 It is fairly fast growing in the right conditions and deserves wide planting as a shapely garden or park tree. Since the bark is often removed for medicinal use care must be taken to avoid mortality. It is hardy once established, and coppicing can be practiced. Food; the fruit is edible and all parts have a hot peppery taste and so may be used to add flavor to curries. Medicine; bark and roots are used for medicinal purposes. Poison; the heartwood contains chemicals which are anti-feedant against the armyworm. Shade/shelter; the crown provides shade and protection against strong winds. Soil improver; it is a source of green manure and mulch. So far, there is no information on the diseases that attack this tree, but its wood is susceptible to termite attacks. Painting it with oil reduces these attacks.